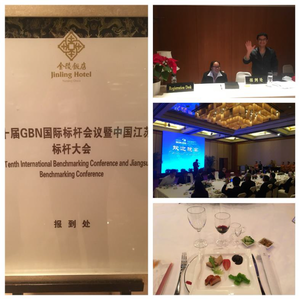 The 10th International Benchmarking Conference of the GBN held on 8/9 December 2016 in Nanjing, Jiangsu, China was a great success. The event provided an excellent opportunity to share benchmarking knowledge and best practices. We are especially proud that Robert Camp, the pioneer of modern-day benchmarking, joined us via live broadcast. Parallel to the 10th IBCON the 24th Annual General Meeting was held and the winners of the 5th Global Benchmarking Awards were honored. 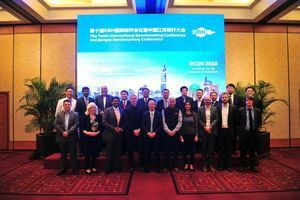 The Conference took place at the Jinling Hotel – and was hosted by GBN Member JSPC (Productivity Centre of Jiangsu Province). The event targeted senior leaders in both the private and public sectors, with a distinct and unique focus on how to sustain performance excellence through benchmarking and best practices. 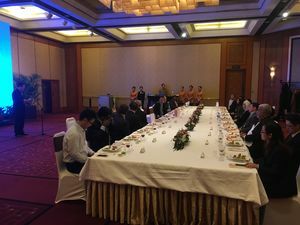 The conference started with a warm welcome by the JSPC and a delicious 12 course Welcome Banquet where everybody got the chance to know each other. Dr. Robert Camp, the inventor of benchmarking, opened the IBCON 2017 via live broadcast. GBN Member and benchmarking expert Prof. Dr. Hogler Kohl (Head of Corporate Management Division at Fraunhofer IPK),GBN Chairman and Director Dr. Robin Mann (BPIR.com Limited), GBN General Secretary Jan-Patrick Cap (Head of Competence Center Innovation Systems and Structures (CCIS)), as well as Dawn Ringrose (Principal at Organizational Excellence Specialists) and Mark Modena (Director at Winning Moves Ltd) continued with speeches during the conference. Read more about the 10th IBCON and the presentations in the 22nd GBN Newsletter.